on products from Zoysia Farm Nurseries. Plugs are excellent for slopes & grow incredibly thick like a carpet, ideal for play and high traffic areas. Save Time on Mowing, Watering, and Weeding! If you're tired of mowing, watering, fertilizing & working all season long to stay ahead of weeds and crabgrass, it's time to consider zoysia. 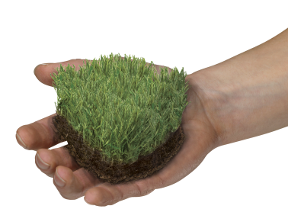 Once you've planted our Amazoy zoysia grass in a new or existing lawn, you'll be rewarded by a lawn that is lush and low maintenance! 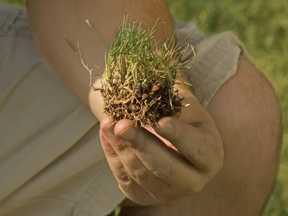 Especially developed for Zoysia lawns. Ideal for all gardens, shrubs, and house plants. FREE Plugs! Click HERE to Order Now! or we'll replace it FREE! Precut ready to plant 3x3 inch plugs. Plant up to 24 inches apart. Uncut sheets that produce up to 150 1-inch plugs, or make each plug bigger for faster fill-in.